You're wondering how to store your Bolt Action tanks? No Worries! 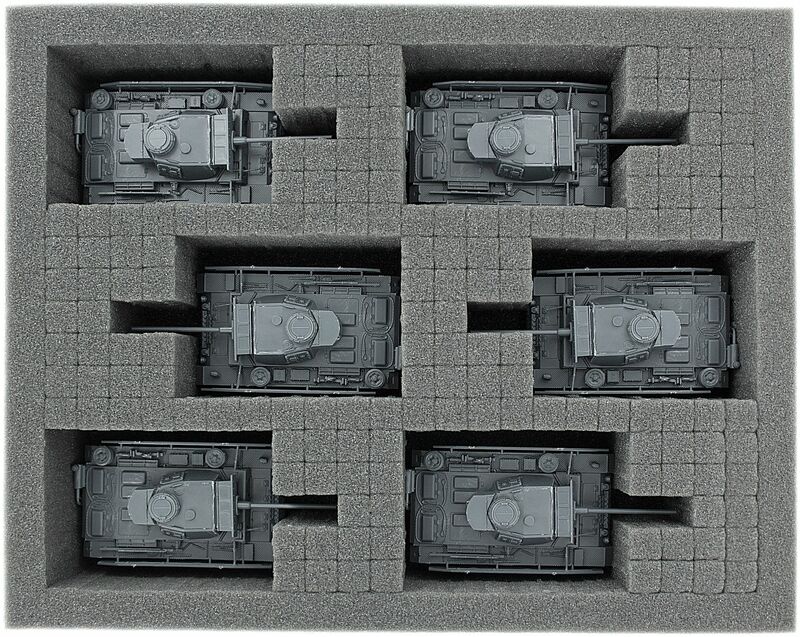 Our Foam Set provides a safe place for up to 6 of your WWII combat machines. The fine-pored foam reliably protects delicate parts like e. g. cannons from breaking. Also, rest assured that the surface of your fighting vehicles is as safe as it gets – if you painted your models you can thus be sure that they will shine on the battlefield. The raster foam tray has the dimensions: 345 mm x 275 mm x 60 mm height.